Coenzyme Q10 (COQ10) is a molecule produced in the body. It aids mitochondria during energy production. 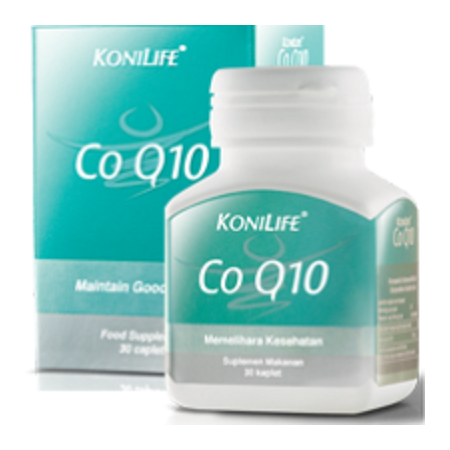 COQ10 enhances blood flow and protects blood vessels. Coenzyme Q10 (COQ10) is a molecule produced in the body. It aids mitochondria during energy production. It is similar to other pseudovitamin compounds because it is vital for survival, but does not necessarily need to be supplemented. Several diseases are associated with low COQ10 levels, including fibromyalgia and the aftermath of a heart attack, known as post-myocardial infarction. Depression, Prader-Willi syndrome, male infertility, Peyronie’s disease, migraines, and Parkinson’s also cause a COQ10 deficiency. Supplementation of COQ10 is recommended to anyone with the listed diseases, but particularly for heart attack victims and people suffering from fibromyalgia. COQ10 can also enhance blood flow and protect the blood vessels. This mechanism is related to nitric oxide preservation. COQ10 can reduce the damage oxidized Low-density Lipoprotein (LDL) can do to blood vessels, as well as reduce plaque buildup in the arteries. Several pharmaceuticals are known to deplete COQ10 levels (statin drugs are a good example). Doctor-supervised supplementation can reduce this effect. There is no evidence that COQ10 improves life expectancy or is able to induce fat loss or muscle tissue growth, even though it is present in mitochondria. Every caplet contains 30mg of Coenzym Q10 and 200mg Chondroitin SO4 200 mg. Every bottle contains 30 caplets. Take one caplet per day, or as directed.